In a recent opinion, the New Jersey Supreme Court held that trial courts may not “deprive litigants of their right to a jury trial as a sanction for failure to comply with procedural rules.” Williams v. American Auto Logistics, (A-10-15) (N.J. 2016). 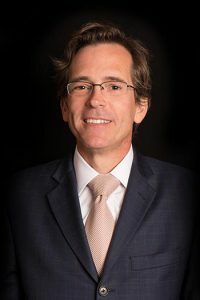 In Williams, a pro se plaintiff bringing suit in New Jersey’s Special Civil Part – the equivalent of small claims – lost his jury right as a sanction for failing to provide jury instructions prior to trial. The Supreme Court reasoned that “[l]oss of a constitutional right should not be wielded as a penalty” and thus “procedural defects in a litigant’s case cannot trump our constitutional mandate.” The Supreme Court was careful to emphasize that its ruling did not extend the right to a jury to cases where is was previously unknown. Id. at 7. Further, the ruling did not mean that a party could not waive the right to a jury either deliberately or through failing to seek a jury in the manner required by the Court Rules. Id. at 8. Finally, the Supreme Court reminded trial courts, whether in Special Civil Part or Law Division, that they have to control their dockets and may, in appropriate circumstances, sanction litigants for noncompliance with the Court Rules, including, in the most egregious circumstances, dismissing the case with prejudice. Id. However, the Court concluded removing a party’s “constitutionally protected right to a jury trial” was not among the “panoply of sanctions” available to trial court. Id. at 9. For more information about the Williams case or about Walsh’s Business & Commercial Litigation Practice, please contact Marc Haefner at mhaefner@walsh.law or at (973) 757-1013.